Welding codes explored and explained. Codes tend to be jurisdiction specific. Historically different countries and / or regions in the world have developed their own codes. While theoretically it would be possible for everyone to just go to a single set of codes, there are political and strategic reasons that states and organizations may not want to do this. It would not add a whole lot of value to try and list all possible welding codes here. Rather we will look at the most typical internationally used codes. In addition, it is not the intention to give detailed descriptions or analyses of each code. Rather we will just make general comments of their applicability so that you can understand which codes you may want to get hold of, based on the niche welding area you may be interested in. Please do not see the welding codes listed here as an exhaustive list. There are hundreds of different codes that are more niche than makes sense to list here. It is important to understand that some codes are referencing codes, and some, referenced codes. What does this mean? Referencing code: This code is the base document that references the use of other codes. Typically referencing codes will be the design codes for the specific equipment that you will be manufacturing or maintaining. (e.g. ASME VIII for pressure vessels, or ASME B31.3 for process plant piping.) The referencing code may override the requirements stated in the referenced code, or add to those requirements. Referenced code: This code is one that must be used, because the referencing code told you to do so. Most welding codes are referenced codes. Some requirements of referenced codes may be overridden by the referencing code, or have additional requirements specified by the referencing code. The importance of knowing this difference is that sometimes you may be allowed to do something that appears to not be allowable in the welding code, or alternately you may be required to meet requirements that is more stringent than that specified in the welding code. It is also instructive to note that some design codes or standards will give guidelines for what the welding code needs to cover, without actually nominating a specific welding code. It is then up to the end user, and possibly the validation body associated with the particular structure, to specify the welding code to follow. Under this scenario there will usually be additional requirements that will need to be met. For example, ISO 19902 (Off-shore structures) takes this approach. Most large corporations have their own in-house standards. 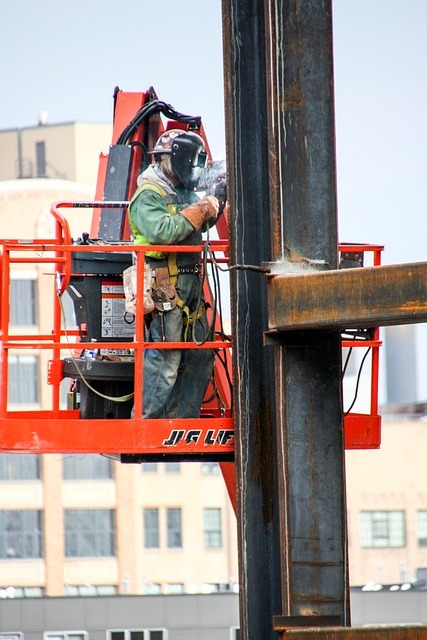 Mostly these standards clarify which industry codes must be followed, but they may also specify additional requirements over and above those specified in the welding code. We will not go into these client standards here, as it would be totally impractical given the large number of client organizations out there. It is however important for you as a Welder to understand that sometimes you will be required to do some rather unusual things to meet some of these client standards, or the coupons will be subjected to more rigorous testing than required by the welding code. ASME IX: This is the welding code referenced by most of the American codes that deal with the design and manufacture of pressurized equipment. For example, it is referenced by ASME VIII (Pressure vessels), ASME B31.3 (Process plant piping), ASME B31.8 (Gas transmission piping), API 6D (Valves), API 6A (Well-head equipment), API 650 (Tanks for oil storage), ASME B31.4 (Pipelines for liquids and slurries), ISO 10423 (Wellhead equipment), ISO 13628-4 (Subsea wellhead equipment). Besides the design codes, ASME IX is referenced in many material standards and specifications (Especially ASTM specifications) where components are manufactured or repaired by welding. AWS B2.1: This is a specification that is not necessarily limited to a specific industry or product type. It can be referenced by any other code as required. An example of a referencing code is: AWS D14.4: This code deals with the welds in machinery and equipment. AWS D1.5: This is the bridge welding and fabrication code. AWS D14.1: This is the specification for welding of cranes and material handling equipment. AWS D17.1: This is the specification for welding in aerospace applications. AWS D3.6: This is the underwater welding code. As mentioned earlier, this is not an exhaustive list, but it is a good starting point. Also keep in mind that even though there are many different welding codes, many of their requirements overlap, so it is possible to perform a single Welder qualification coupon that could qualify you to weld to a number of different codes. The inspection and testing must just meet the requirements of the different codes. When looking at the European based codes, we are considering the welding codes that have grown out of traditionally European national codes. A great deal of these codes have morphed into ISO codes and standards. Strictly speaking the ISO codes are "international" rather than just European, and are being used more widely even within the USA, however we will list them here under the European heading, because that is largely where their historical base lies. ISO 9606: This is actually a series of standards that cover the qualification of Welders for a range of different materials. For most materials, ISO 9606 has superseded EN 287, although for the steels, EN 287-1 is still widely referenced. I suspect that eventually ISO 9606 will totally supersede EN 287. BS 4515-1: This deals with carbon steel pipelines within British jurisdictions. ISO 14732: This code deals with the qualification of Welder operators for mechanized and automatic welding. ISO 15616: A number of different standards dealing with the qualification of Welders for hyperbaric (underwater) welding. 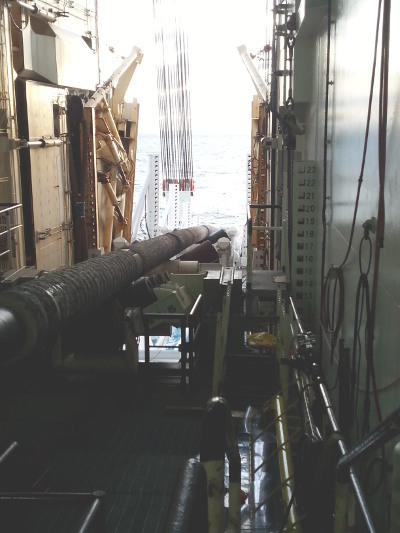 DNV-OS-F101: This is the most widely used code for design, manufacture and installation of subsea pipelines. I have included this here for completeness sake, but often Welders welding to this code will perform coupons in accordance with EN 287, with additional requirements as amended by the DNV standard. 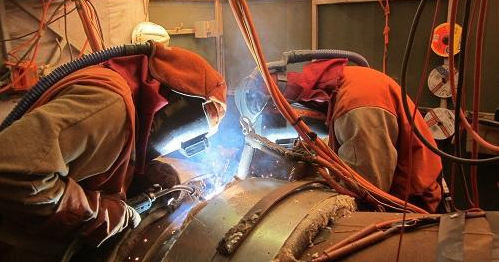 Seeing as welding is a skill, it is possible for a Welder to lose the particular skills tested in a Welder qualification, if the Welder does not perform similar welding for an extended period of time. Welders therefore need to have their Welder Performance Qualifications (WPQ) revalidated on a regular basis to indicate that they still have the necessary skills to perform the required welding. Different codes have slightly different requirements for the revalidation of the Welder qualifications, but the most widely used methodology is that if the Welder has welded with the specific welding process in the preceding 6 months, then the qualification is revalidated. If the Welder has not welded with a specific welding process for longer than 6 months, then the qualifications in which that specific process was used, will lapse. (They "expire") Revalidation is then accomplished by the Welder re-doing at least one test coupon using the lapsed welding process. As mentioned, there are subtle differences between codes in this regard, but the approach mentioned above is the most widely used revalidation process.